The classic board game is now available on Papaya! Play head-to-head with friends and other users from around the world and aim for the top of the world rankings! 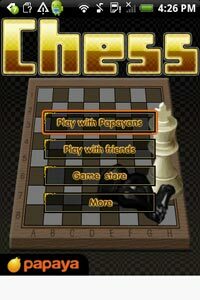 Papaya Chess also features in-game chatting.